AliveCor's heart rate monitoring KardiaBand for the Apple Watch has been cleared by the FDA. That's a big deal because it means the smart strap becomes the first medical accessory for the smartwatch to get approval. The company, which is headed up by ex-Google SVP of engineering Vic Gundotra uses electrocardiogram (EKG) technology, which detects the electrical activity produced by a heartbeat. Unlike the optical-based sensor baked into the Apple Watch, EKG is still considered the most accurate way to record heart rate activity. It's used by the medical industry and found inside heart rate monitor chest straps. The medical grade heart rate monitor is then able to quickly identify abnormal heart rhythms such as atrial fibrillation (AFib). It also has the potential to detect issues like palpitations, shortness of breath and irregular heart rate, which could increase the risk of a stroke. The Food and Drug Administration is the gateway to companies developing health tech with the likes of Apple, Fitbit and Samsung among the companies beginning to explore serious health monitoring. It can be a lengthy approval process getting approved, but this is big news for any company that's looking into developing medical-grade technology for wearables like the Apple Watch. In other KardiaBand news, the company is introducing a new feature to its Apple Watch app to improve its heart rate monitoring powers. The new SmartRhythm feature taps into AI and when combined with the Watch's heart rate data and activity sensors will evaluate the correlation between heart activity and physical activity. When the two are out of sync, the device will alert users to capture EKG data. 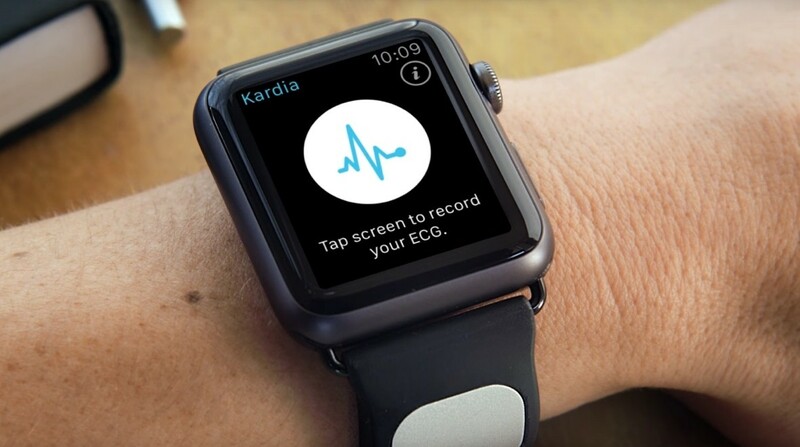 If you want to keep a closer eye on your heart health on your Apple Watch, the KardiaBand is currently up for grabs for $199 with a KardiaGuard membership that unlocks monthly reports of your EKG readings setting you back $99 a year.